Prepping can be expensive if you’re buying huge boxes of freeze-dried food and the latest survival gadgets. But if you buy a few small items every week for several years, eventually you’ll have everything you need to survive a disaster (short of something apocalyptic like a nuclear war). In this article, I’m going to prove my point by listing 50 items for less than $5 each. 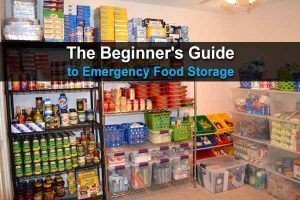 Many of these aren’t normally thought of as “preparedness items,” but nonetheless they are things you’ll want to have during a long-term disaster, so even if you already have some of them, it can’t hurt to have extra. 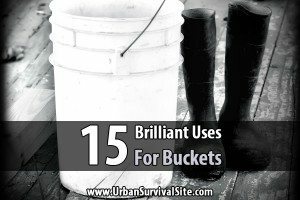 The new year has just begun, so here’s what I suggest if you’re a brand new prepper. Every week, buy one of these items along with a day’s worth of food for your family. By the end of the year, you’ll have everything on this list along with 50 days of food, and you’ll be more prepared than 99% of society. 1. Lighter – A simple BIC lighter is extremely cheap and can be bought in packs of five for about $5. Lighters are essential for quickly getting fire going, and BIC lighters in particular can also be refilled. 2. Box of Matches – We can’t mention lighters without also mentioning matches. You can buy a few boxes of dozens or hundreds of waterproof matches for just $5. 3. Magnesium Flint Striker – This is perhaps the most useful fire starting device of all because it can be soaked in water and will still work perfectly well afterward. 4. Tylenol – Tylenol is great for relieving pain such as stomachaches or headaches, and you can buy literally thousands of Tylenol pills for only five dollars. 5. Ibuprofen – An excellent alternative to Tylenol, ibuprofen can also be bought in bottles for only five dollars. 6. Bandages and Gauze Pads – Bandages and gauze pads are a necessity for covering open wounds and preventing infections. 7. Alcohol Pads – Alcohol pads are necessary for sterilizing the site of a wound before proceeding with future medical action, and they are extremely cheap. 8. Can Opener – One of the handiest items you can have, especially if you store lots of canned food. 9. 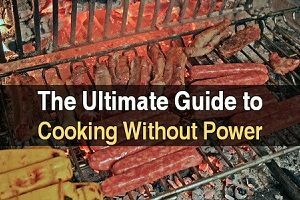 Camp Stove Fuel – Do you have a camp stove? If so, you’ll need fuel to keep it burning. 10. Fishing Line – Besides the intended use, fishing line can also be used as a clothesline, for building shelters, for sewing ripped clothing, for emergency medical sutures, or for making a trip wire. 11. Fishing Hooks – If you have fishing line, investing in fishing hooks to complete a basic tackle box set up would be wise. 12. Duct Tape – Here’s a hard question to ask yourself: what can duct tape NOT fix? Here are several dozen uses for duct tape. 13. Paracord – You can easily buy 50 or so feet of Paracord for five dollars or less, which can then be used for a multitude of creative survival uses. 14. Flashlight – A basic flashlight can easily be acquired for less than $5. In fact, you can get a $30 flashlight free and all you have to do is pay $5 shipping. 15. Batteries – For powering your flashlight or any other electronic equipment you have. 16. Nails – Nails will certainly prove their worth to you when it comes to building a shelter or repairing damage after a storm. 17. Toothbrush & Toothpaste – Dental hygiene is critically important in a survival situation, and a single toothbrush and small bottle of toothpaste can be purchased for a few dollars. 18. Ear Plugs – These would be good to have during an urban emergency which could be very noisy, or to help you sleep at night (just make sure someone is keeping watch). 19. Baking Soda – This is perhaps the most versatile cleaning/hygiene item of all time; use it for creating the following: toothpaste, soap, shampoo, deodorant, laundry detergent, dishwashing soap, and more. 20. Bar of soap – Soap isn’t just necessary for personal hygiene, it’s also great as a trading commodity. 21. Disposable Razors – Buy several in a pack for $5 or less. 22. Needles and Thread – Must-have items for performing emergency medical sutures or repairing torn backpacks, clothing, tents, or tarps. 23. Burn Gel Packets – A great and overlooked first aid item for providing you with quick relief from pain created by abrasion, burns, scrapes, or cuts. 24. Chapstick – You can use a simple container of chapstick for relieve chapped lips, to make a candle, as a fire starter, to even treat a small wound, and other things. 25. Bandana – One of the most iconic survival items of all time, and with good reason; use a bandana as a cloth, as a cool compress, as a water filter, as a gun rag, as a napkin, as a bandage, and so on. 26. Ziploc Bags – Good for organizing small items and keeping tinder, edibles, electronics, etc. dry. 27. Compass – Small cheap compasses can be easily acquired by you, and they’ll work better then you may give them credit for; they are absolutely necessary for quickly telling your sense of direction so you don’t walk around in circles. 28. Energy/Protein/Granola Bars – The beauty of energy bars is they are nutritious, filling, don’t require refrigeration, and are extremely portable; carry them wherever you go. 29. Emergency Space Blanket – Space blankets reflect your heat back to you, and are a great addition for any kind of outdoor adventure. 30. Scissors – Scissors are just a practical survival item to have on hand; foldable scissors work best. 31. Fresnel Lens – This one might sound strange, but it’s actually a great way to start a fire on a sunny day. 32. Baby Wipes – These are great to have even if you don’t have infants, because they allow you to quickly wash your hands before eating or after using the restroom. 33. Water Purification Tablets – Iodine purification tablets can quickly purify your water of deadly but unseen bacteria in only thirty seconds or less. 34. Head Lamp – This is really great to have if you’re travelling at night and need both hands to hold something other than a flashlight such as a weapon. 35. Paracord Bracelet – Paracord bracelets are very convenient and easy to carry around; you unravel them into smaller sections of Paracord. 36. Hand Sanitizer – A very handy personal hygiene item, and because of the high alcohol content, they are great for getting fires going as well. 37. Tourniquet – This is a must-have for every first aid kit. Post SHTF life could be dangerous, and you want to be ready to deal with deep wounds. 38. Folding Knife – You can’t get a high-quality knife for under $5, but considering how important knives are, having a cheap one is better than nothing. 39. Pantyhose – This one might seem silly to you, but there are many good reasons why you might want to have some pantyhose on hand after SHTF. 40. Survival Handbook – Many pocket-sized survival handbooks can be purchased for $5 each (although you might have to buy it used), and they are filled with invaluable survival information. 41. Garbage Bag – A garbage bag is a truly awesome survival item to have on hand; use them for signaling, for carrying items, as a shower, as a tarp, as a poncho, and so on. 42. Signal Mirror – If lost at sea or in the wilderness somewhere, you could use this to signal for help. 43. Whistle – One of the most classic signaling devices, and with good reason. 44. Zip Ties – If you need to bind two things together, zip ties are the easiest way to do it, but they have many other uses as well. 45. Candles – Great for lighting or for helping you get a small fire going quickly. 46. Sunblock – There are many reasons why you might spend more time outside than usual during a disaster. Don’t let yourself end up suffering from a sunburn as well. 47. Carabiners – An invaluable item for rappelling down a cliff or building shelters. 48. Cotton Balls and Vaseline – Soak the cotton in Vaseline, and it will turn any spark into a flame in any kind of survival conditions. 49. Multi Tool – Although most multitools are over $5, you can get a stainless steel multitool that fits in your wallet for less than $5. 50. $5 Bill – Last but not least, keeping a little bit of money in your survival kit will be wise in case you need to buy food or hitch a ride somewhere. 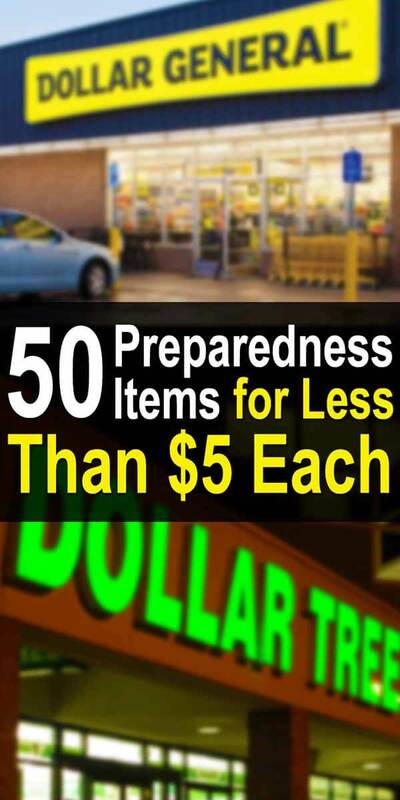 As you can see there are quite a few preparedness items that you can get for only a few dollars each. Just get a little at a time and you’ll be well prepared before you know it! I understand the important of all these items but if it nessary to leave your home how can one possible carry all that one would need. You couldn’t carry all of these unless you have a good vehicle, especially one that can go off road, but there are plenty of disaster scenarios where you could just stay at home and ride it out. 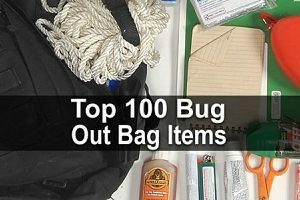 Or you can store some of these at your bug out location. First you assess your situation and your ability to carry things in a pack. Next you put together a kit that is versatile and contains items that have MULTIPLE uses therby negating the need to carry anywhere near all the items on any given list. If you don’t have an item to take care of your needs as you travel, you IMPROVISE, ADAPT AND OVERCOME any and all obstacles with ingenuity and positive, “Can Do” attitudes. Having a good attitude about survival is the absolute most essential ingredient of being able to survive in a crisis. What about a towel? Douglas Adams was right, you should always know where your towel is. Paper clips and safety pins ? What ? , a low cost survival items list without these two near essentials. You’re right, I can’t believe none of us thought of those! 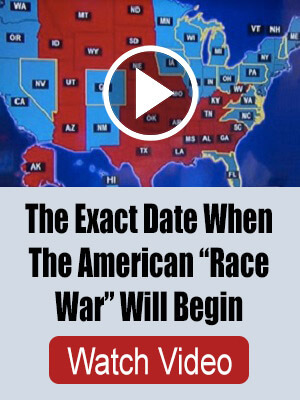 This list could probably be a lot longer.